The day before yesterday we were told by the First Lady, Mrs. Aisha Buhari, that her husband was not as ill as most of us believed and that despite his obvious challenges he has continued to “carry out his responsibilities”. On the same day the media went to great lengths to convince us, without providing any pictures, that the President had resumed work and that he had had a series of fruitful and productive meetings with his Minister of Justice and the Managing Director of the Nigerian National Petroleum Corporation (NNPC) respectively. They assured us that he would definately preside over the Federal Executive Council (FEC) meeting which was scheduled to hold the following day. All of these assertions proved to be false. Buhari has now missed his FOURTH Federal Ececutive Council meeting in a row due to his chronic and debilitating ill health. Whoever is holding this poor, frail, sick and elderly man to ransom and keeping him in the Presidential Villa, probably against his will, is wicked and ungodly and he or she is committing a grave sin against God and the Nigerian people. It is clear that the President is no longer fit to govern. It is obvious that his time is almost up. It is self-evident that for him the bell is tolling. It is incontrivertable that those around him have held him captive and are indulging in what I once described in an essay that I wrote seven years during the last days of President Umaru Yar’adua as “corpsocracy”. The essay was titled ”Corpocracy: A Gift From Umaru To The Modern World”. Simply put corpsocracy means the rulership of the living by the dead. It is the art of hiding a walking corpse, a comatose zombie or what some have described as the “living dead” in a cupboard in the Presidential Villa, telling the world that it is hale and hearty and then ruling and running the country in its name. This is what happened during Yar’adua’s last four months on earth whilst he still had one foot in the land of the living and it is happening to Buhari today. Such was the ruthless and cold-blooded deception that Yar’adua’s inner circle brought into the equation that they managed to convince the Nigerian people and indeed the entire world that a President that was totally comatose and literally brain-dead managed to sign the 2010 budget all the way from dream-land. They also managed to conjure up a fake but convincing telephone interview with the … television service which millions of unsuspecting viewers, including yours truly, watched and listened to from all over the world. Such was the angst of the management of the … when the truth was unearthed and they finally discovered that they had been misled, conned, duped and used that the northern Nigerian woman that organised the so-called “interview”, passing off Yar’adua’s brother’s voice as Yar’adua himself, was expeditiously and unceremoniously sacked. Her name was …. and she was the head of the … at the time. She was also a double agent of both the MI6, the United Kingdom’s secretive international spy agency and Nigeria’s external spy agency known as the National Intelligence Agency (NIA). One is constrained to ask: what have the Nigerian people not been subjected to or seen? All these dirty games conducted in a sqaulid and sordid attempt to hold on to power at all costs. Yet worse of all are the nauseating mendacities that the Minister of Information, Lai Mohammed, keeps churning out. Yesterday he told us that Buhari did not attend the FEC meeting this week because he was “still resting”. Equally amusing was the absurd assertion from the Minister of Transport, as Rotimi Amaechi, who claims that he “is not corrupt” and that he “does not like money” and who told Nigerians that Buhari was now “putting on weight”, was “much better” and that he was “fit enough to run for the Presidency in 2019”. Honestly one wonders if these creatures have any genuine love and compassion for their principal because if they did instead of telling us lies about his medical condition they would simply get on their knees and beg him to resign. One wonders if they have any shame. It is very clear to me that they are all under an accursed hex or Luciferean spell. They have been bound and blinded in body, spirit and soul. This is a classic case of the Living God hardening Pharaoh’s heart unto destruction. Yet sadly those in power, including Buhari himself, are so obsessed with that power that they cannot see it. Instead of letting God’s people go and bringing to an end the wickedness, persecution, slaughter and destruction of their perceived enemies, the Buhari administration has gone into full throttle and unleashed even more havoc on members of the opposition and those that they hate. A few examples will suffice. A couple of weeks ago when my younger brother Mr. Deji Adeyanju, the stormy petrel of Nigerian political activism, together with his equally dynamic colleague Mr. Ariyo Dare Atoye, organised protest marches across the country demanding for the release of the great Biafran leader and irrepressable Igbo nationalist Prince Nnamdi Kanu, they were both promptly arrested and briefly detained by the police. The same thing happened to them again in Abuja a few days later after they organised yet another demonstration, this time calling for the release of two online bloggers and journalists, Mr. Austin Okai and Miss Kemi Omololu-Olunloyo. It didn’t stop there. Two days ago the Southern Kaduna’s Peoples Union (SOKAPU) went on a march in Unity Square, Abuja protesting about the continued mass murder, genocide, butchering and ethnic cleansing of their Christian brothers and sisters and people by Buhari’s kinsmen, the Fulani militias and herdsmen. Amongst their ranks was the courageous, refreshing, young, articulate, brilliant and bright rising star of Nigeria’s Middle Belt zone, Miss Ndi Kato. Sadly instead of being treated with sensitivity and compassion and being given assurances that the killings would stop and the killers would be brought to justice, they were insulted, beaten, brutalised and dispersed with batons and tear gas by the Nigerian police. When elements of the Bring Back Our Girls (BBOG) group led by Mrs. Aisha Yesufu joined them as a mark of solidarity, they were brutalised and dispersed as well. Worse still Aliyu Babangida, the former Governor of Niger State, Sule Lamido, the former Governor of Jigawa state, Ibrahim El Zak Zaky, the leader of Nigeria’s Shiite Muslims, Sambo Dasuki, the former National Security Advisor to President Goodluck Jonathan and countless other opposition leaders and opponents of the government remain languishing in detention cells and prisons all over the country whilst plans are afoot to frame up and arrest numerous others like the Deputy Senate President, Ike Ekweremadu. This is clearly a government and a President of “no going back”. Like Shakespeare’s Macbeth they are “so far steeped in blood that should they wade no more, returning would be as tedious as to go over”. Yet the price for their chosen path, their sheer cruelty and callousness and their sanguine disposition is very high. It is not just a matter of Buhari possibly dying in office as a consequence of whatever it is that has afflicted him but also what the aftermath of his death will bring. Baba Bisi Akande, a leading member of the APC and one of the most reverred and credible figures in the country, has already fired a warning shot on behalf of the Vice President and the south-west by saying that nobody should mistake 2017 for 1993. For those that are too young to know what he is saying is that if Buhari dies no-one should dream of scuttling Professor Yemi Osinbajo’s succession and thereby deprive the south-west of the Presidency like they did in 1993 when Chief MKO Abiola’s mandate was annuled by the northern military simply because they did not want a southern President. This is a timely and useful intervention by Baba Akande but sadly it has fallen on deaf ears. The cabal and the ultra-conservative core north (which is the constituency that Buhari represents) has already made up its mind. As a matter of fact the spokesman of the Northern Patriotic Assembly issued a prompt response to him yesterday and warned him and other “leaders from the south-west” to desist from making what they described as “such immoral and despicable statements”. Again at the instance of the northern elders and leaders, the APC Youth Wing issued an even sterner warning and advised Akande to “go for a physchiatric test” for suggesting that the ill health of the President was taking its toll on the nation. As far as these people are concerned the Presidency of Nigeria belongs to the north and whether Buhari lives or dies, it must stay there. Worse still their view is that if they cannot have it then nobody will. That is the beastly mindset of those that we are contending with. And those that suffer from it will certainly come to an equally beastly end. 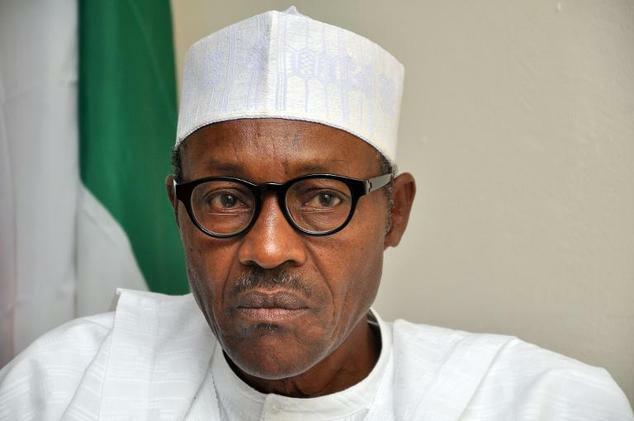 The truth is that President Muhammadu Buhari’s administration and those that they represent …. They have been rejected by the Living God. His is a government of compulsive liars, sadistic tyrants, blood-thirsty pyschopaths, closet kleptomaniacs, ethnic supremacists, radical Islamists, skull and bone diviners and voodoo merchants. The fact of the matter is that whether they like it or not we are entering the end game. Everything is coming to a head. The next few months will be instructive and critical and much will happen that will surprise and shock the world and the Nigerian people. To the spiritually sensitive and discerning one thing is clear: this dispensation is almost over. The beast is dying. The flesh is rotting. The vultures are gathering. The sky has turned black and a new era approaches. Yet even in sickness, death and decay the tyrant and his followers revel in deception, treachery, doublespeak, blood-lust and wickedness. My advice to them is to humble themselves and FEAR GOD before it is too late! My counsel to them is to let this sick and elderly man resign in peace and allow him to go home to take care of his health and make his peace with God. My appeal to them is to be sensitive to the Spirit and to recognise the fact that he has been struck and mortally wounded by the sword of the Lord. My prayer to them is to accept the fact that he has been pierced with the arrow of God, he has been hit by the east wind of destruction, he has been afflicted with a deep spiritual wound and he is suffering from God’s judgement: it is time for him to GO!